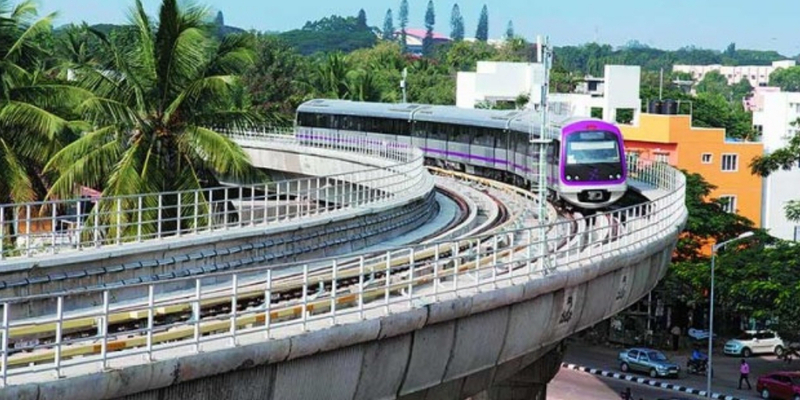 In order to improve the connectivity quotient in the city, the Bangalore Metro Phase 2 is in development phase, which is expected to be completed by 2024. Will this metro rail development improve real estate scenario in the city? If yes, which locales are touted to gain the maximum return on investments? Like other top cities in India, real estate activities in Bangalore registered a marginal revival in 2018, with builders launching new residential projects catering to affordable-to-mid-range segment in different parts of the city. According to a report by JLL India, Bangalore reported over 80 percent growth (YoY) in new launches in 2018. The submarkets of Bellary Road, Hosur Road and Whitefield continued to contribute a major share to the tune of 65 percent of the total new launches in 2018. Sales volume in Bangalore also recorded gradual improvement last year with the impact of Demonetisation, RERA and GST settling down. Metro rail connectivity has been considered as one of the primary drivers for an upward market sentiment in Vittal Mallya Road, Binnypet, Bellandur, Dollars Colony, Rajajinagar and Kanakpura Road. Kanakpura Road and Tumkur Road have gained significant footfall in the recent quarters. Kanakpura Road is gaining prominence among buyers as a residential hub on the back of improved metro connectivity. Moreover, ample availability of land combined with lower pricing compared to developed markets in the vicinity would augur well for the overall development of the region. Rental market is also speculated to reap benefits from the upcoming metro corridors. In Jayanagar, a sudden rise in new launches has resulted in increased availability of rental inventory. The partial functioning of the Green Line of Bangalore Metro is seen as the stimulator here. Infrastructure changes, especially expansion of metro services in various micro-markets, will result in the emergence of new residential pockets. Considering the buyers’ sentiment towards the affordable and mid-market, developers community would strategise to offer budget-friendly flats across the upcoming metro corridors to allure more homebuyers that will help prop up overall housing sales in the ensuing years. The completion of the metro project will upgrade the connectivity level across the city, linking different regions. This will improve absorption of residential units in Bangalore in the ensuing quarters. Homebuyers waiting on the fence are speculated to make the buying decision. Ready-to-move-in units would be highly preferred. However, demand for under-construction properties could be escalated in the areas situated along the metro corridors. Adding to this, Ramesh Nagpal, Managing Director, Goyal & Co, Bangalore, shares, “Improved connectivity would escalate demand among buyers, unquestionably, as it raises the liveability quotient. However, price appreciation is dependent on many other macro variables. Usually, the any appreciation in property prices is visible at the time of announcement of the project. But, timely completion of the proposed project plays a vital role here. If the development of Phase 2 coincide with the slowdown cycle, similar to the Phase 1, the chances of immediate price rise would be lowered. Initially, rental market would garner maximum traction from the proposed metro expansion”. Among the ambitious metro expansion plan of the Central Government to spread the transport mode to 15 other cities in the coming years, Bangalore metro rail corporation is expanding its metro services in the different areas of the city. The Phase 1 is already in operation, while the Phase 2 is in development stage. The Bangalore Metro Phase 3 has also been approved by the State government. With this, the city metro would become the third largest metro rail network in India. The Bangalore Metro Rail Corporation Limited (BMRCL) is constructing a 128 km long metro rail network under the Bangalore Metro Phase 2, which is anticipated to become operational by 2024. At the inception, the phase 2 construction was scheduled to be completed by 2020, but later the deadline was extended till 2023. Under the Bangalore Metro Phase 2, a total of seven stretches are under construction. The Yelachenahalli-Anjanapura and Mysore Road-Challegatta corridors would be open for public by 2020. By the year 2021, four corridors including Baiyyappanahalli to Whitefield, Nagasandra to Bangalore International Exhibition Centre (BIEC), Gottigere to Swagath Road Cross and RV Road to Bommasandra via Electronic City are expected to be completed. With the completion of the Phase 2, Bangalore will have a 170 km metro network to boost connectivity quotient in different areas of the city including tech corridors like Electronic city, Outer Ring road and Whitefield. Overall, the construction of Bangalore Metro Phase 2 may help improve absorption of residential units along the corridor, boost population density in the area and also rentals.